What vegetable can claim the following? It’s been on the menu at health food cafes for a few years, as a super food. It appears in many forms – juices, frittatas, soups, chips/crisps. Some call it the new ‘beef’ because of its high protein and iron content. A celebrity following (Gwyneth Paltrow, among others, loves the stuff). It’s kale of course. Kale is part of the brassica family of vegetables and belongs to the same group as brussels sprouts, cabbage and broccoli. *If you’re doubting this don’t – because a small 50kg women juicing around 15 cups a week would achieve this. Kale is no longer reserved to health fanatics – it’s going mainstream. Chances are that’s why you’re reading this right now – whether or not you’ve tried kale before you’re curious to know what all the fuss is about. 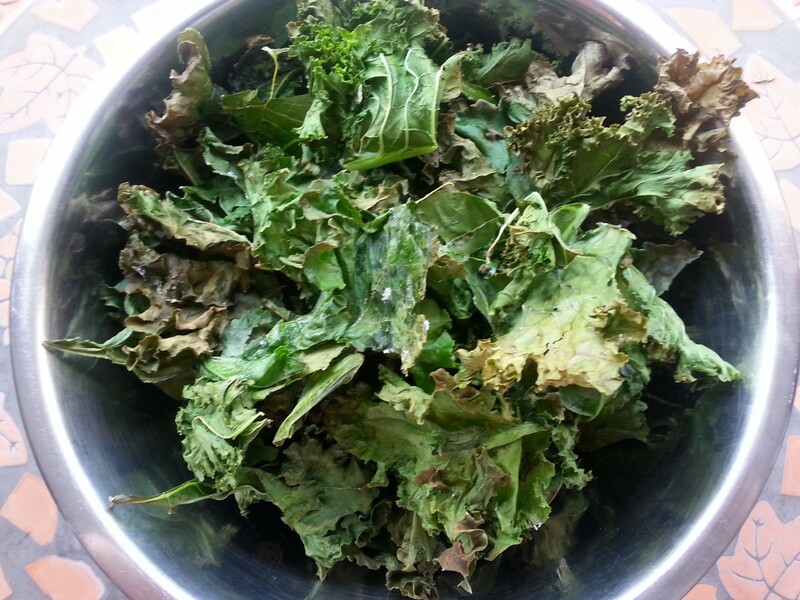 Here I briefly cover the key health benefits, how to choose and store kale and a recipe for kale chips/crisps. The high fibre content helps with digestion and elimination and makes it a great part of a detox diet. Per calorie kale is higher in calcium than milk, so if you’re on a diary free diet eat kale to support strong bones. It’s rich in minerals, particularly iron which is crucial to promoting cell growth, energy levels and effective liver functioning. High in omega 3 fatty acids kale is great for balancing your omega 3 to 6 ratios and it’s a cheaper way to get your omega 3s than salmon fillets or expensive krill oil. With 2 grams of protein per cup (67 grams) vegetarians can easily meet their protein needs. Finally it’s full of antioxidants which may play a role in protecting against cancer and inflammation. 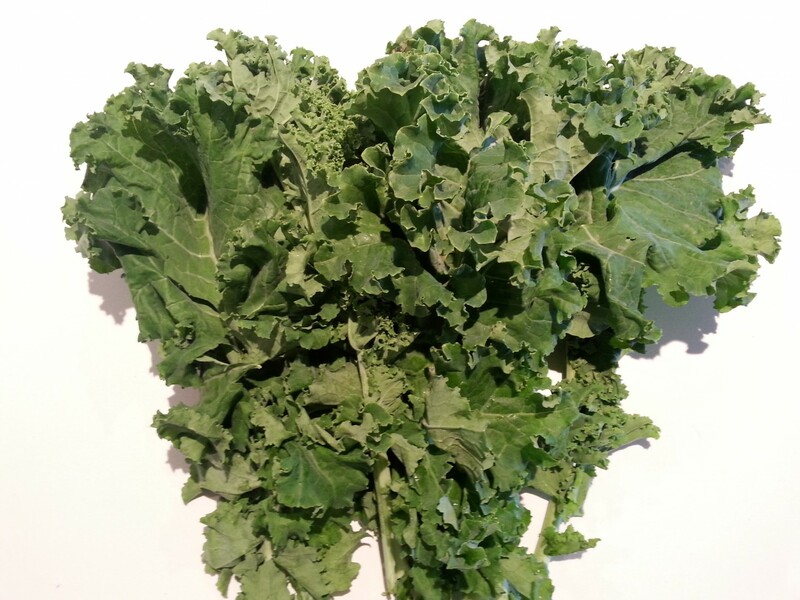 A sign of fresh kale is firm leaves and stems, with little or no yellowing on the leaves. 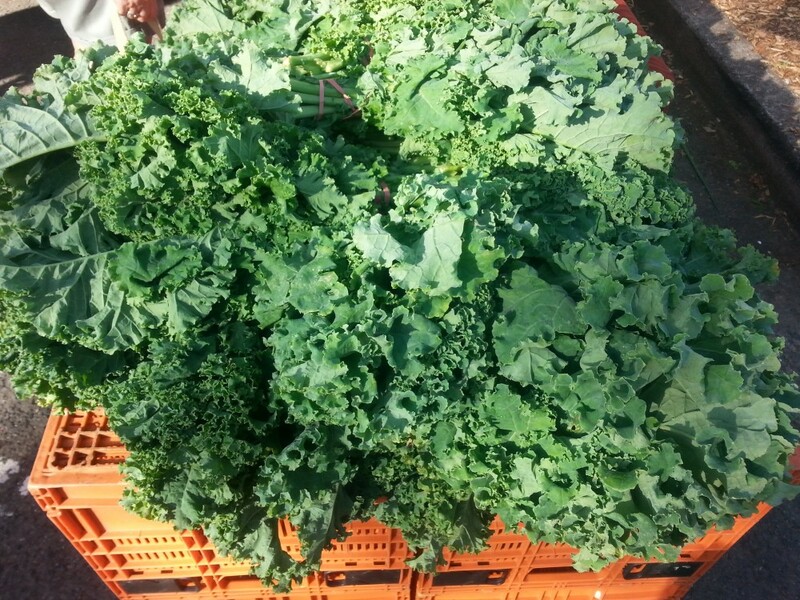 Don’t buy kale unless you have a plan on when to use it – because it only remains crisp for a few days after harvesting. It’s best stored unwashed in a plastic bag in the fridge. Whether you’re juicing kale to eat it raw or cooking it always give it a good wash first, just as you would with spinach or salad leaves. Chop off the really tough ribs/stalks but retain the smaller ones as these can be cooked with the leaves (but need a couple of minutes extra cooking time). Kale is versatile to all cooking methods. Steam to preserve the most nutrients, sauté with garlic, chill and olive oil or butter for the biggest flavour punch. Or cook in the oven as part of a frittata or to make crispy kale chips…..
Wash a bunch of kale and break off the leaves. Tear each leaf into bite size pieces. Drizzle olive or coconut oil around a large bowl. Throw in the kale leaves and mix around to cover them in oil. Season generously with salt. And, if you like throw in some dried chilli and mix. Evenly spread the leaves across an oven tray. Cook on the top shelf of the oven (the hottest part) and set a timer for 8-10 minutes. Don’t open the door during this time – unless of course you smell burning. After 8 minutes check to see if any of the kale is crispy and dark, if so transfer the kale ino a large bowl. Boast to your family or friends that you are serving them superman (or women) chips. For more fabulous kale recipes check out this fantastic link to 29 recipes at Australian Gourmet Traveller. Don’t overload your oven tray or the kale won’t crisp as well. Instead spread it across several trays or, even better, cook it in batches to ensure it’s all cooked in the hottest part of the oven. When you remove your kale from the oven don’t worry if a few leaves are still limp – often they crisp up a bit more in the bowl. Practice makes perfect – because the optimum temperature and cooking time will depend on your oven, so experiment until you’re happy you’ve nailed it. Grow your own – kale grows well in colder weather and is so easy to grow even uner the supervision of the most amateur gardener. ** Vitamin stats from Doctor Mercola’s fantastic health promoting site mercola.com – see full feature here. Tags: chips, crisps, health benefits, how to, kale, recipe. Bookmark the permalink.